Have you ever considered working in the automotive industry? Are you looking for a career change, or a new career? If so, head down to the Leasing.com London Motor & Tech Show to see the “Drive My Career” team, who will be demonstrating why everyone should consider a career in the automotive industry! Many people think the automotive industry is only for people who want to be mechanics or salespeople. And whilst the industry has great opportunities for people with these skills, there is so much more to offer. Drive My Career is an industry-first, web-based employment platform launched in February 2018 by the National Franchised Dealers Association (NFDA), the association which represents franchised automotive retailers in the UK. Automotive retail is a fast-growing, successful industry that offers many different types of career opportunities. Whether you’re interested in a technician role, customer service or sales, with a wide range of jobs, there really is a career path available to anyone. Automotive retailers offer great benefits, excellent salary packages and provide you with ongoing training and development programs to ensure that you are equipped for your future. If you have a passion for cars or are just looking for a career change, why not find out what’s on offer, you might be surprised. 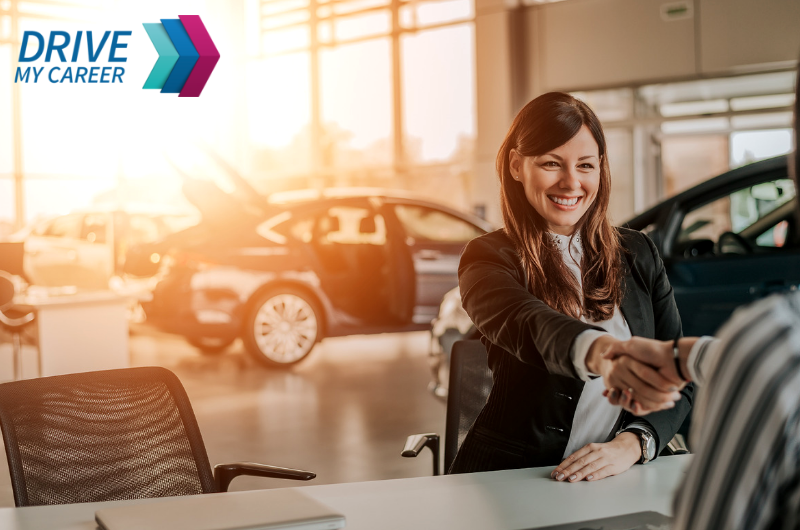 At the Show, industry body NFDA will help answer any questions you may have about working in automotive, find the sector that best suits your skillset and identify the retailers looking for candidates in your local area. They will also be adding some fun, with games, competitions and prizes every day! The core goal of Drive My Career is to help raise awareness of the exciting career opportunities available in the retail side of the automotive industry and connect job seekers with their local automotive retailer. The website displays dealerships across the UK on its dealer-finder map. To search for these opportunities, candidates can enter their postcode to find the dealerships based in the area and visit their career page. Nearly 1,000 franchised dealershipsare part of the initiative. Sue Robinson, Director of the NFDA, said, “Today’s automotive sector is exciting and innovative, and offers unique career opportunities that suit everyone. The Drive My Career team looks forward to attending the London Motor & Tech Show where we will show you why automotive is a great place to work”. While you are at the show, Visit the Drive My Career team to say hi and discover which retailers are looking for talent near you!